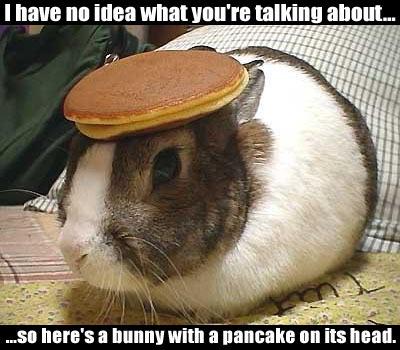 I’ve done something to my shoulder, and typing up a review today has just not been possible. Not much of anything besides sitting watching tv with an ice pack has been possible. So instead of writing I’m watching Princess Bride, and hoping to be up to typing tomorrow. I’ve started a new book tonight, King of the Unblessed by Michelle M. Pillow. I think someone has watched Labyrinth a few times too many. Just a hint – it isn’t me. From Etsy: Mini Han Solo and Princess Leia ornaments! Are they not the cutest things evar? Valeria’s Cross by Kathi Macias and Susan Wales is a fictionalised account of the life and death of third century Roman empress Galeria Valeria, daughter of Gaius Aurelius Valerius Diocletianus and wife of Gaius Galerius Valerius Maximianus. The story of Galeria Valeria is a dramatic one, a tale of love and loss, temptation and sorrow, drawn across a vivid background of political maneuvering and the weight of history, the glory of the Roman Empire, and the harsh realities of the Great Persecution. Valeria is a princess, born to the Emperor of Rome and his wife and raised in the lap of luxury. Whilst her father is campaigning in Gaul (France), Valeria and her mother are sent to the imperial palace on the Egyptian isle of Elephantine, today part of the city of Aswan. There Valeria meets the fictional young Mauritius, a captain of the Roman Army’s Theban Legion, and quickly falls head over heels in love with him. But Mauritius is called away to Gaul, and Valeria’s dreams come tumbling down around her. Anyone familiar with the tale of the Martyrs of Agaunum will know what reportedly happened to the Theban Legion: they were executed as martyrs whilst on campaign. Mauritius was amongst those killed, and once word reaches Valeria she falls into a deep despair. Fate has only begun to play with the Roman princess. Whilst still in mourning for her dead love, Valeria’s father marries her to Galerius, the general believed to have orchestrated the decimation of the Theban Legion, who Valeria has hated since she first laid eyes on him. But things do not go quite as Valeria had planned – her husband seems kinder now than he ever was before, and she soon finds herself yearning for his touch and enjoying his company. She quickly comes to love his infant son, Candidianus, as her own, and her feelings for Galerius himself soon deepen. This is not a romance novel. As with many tales based on historical figures, this book does not have a happy ending. It is strong on the religious (early Christian) element, and may not appeal to all audiences. A lot of people die, and most of them are executed in one way or another. While not an expert by any means, I am something of a history geek, and I enjoyed the way historical events were brought to life and embellished upon. The details of the conflicts and wars that took place during Valeria’s life were mostly glossed over – normally I dislike “tell, not show”, but in this case, I am quite happy this book did not turn into a large list of who fought who when and what happened. I found the brief amounts of information conveyed the general sense of the Roman political climate, without overloading the reader with details they would not care to know about. The language used throughout is modern and easy to read, and the authors go to great pains to attempt to explain some of the cultural and political concepts without providing another source of information overload. I did find some of the modern word-choice and phrasing rather incongruous in a historical setting, though I realise that often doesn’t bother other readers. It bothered me quite a lot that about a third of the way through the book, the characters change from using ‘Gaul’ to using ‘France’, when the inclusion of Gaul in the Frankish Empire dates around a century later than the book’s timeline, and the establishment of the Kingdom of France itself didn’t take place for another 500 years or so. Overall, this book was enjoyable, and I would recommend it to anyone who enjoys historical fiction, with emphasis on the fiction. Now, I’m not normally a fan of time travel romance, but Breath of Magic by Teresa Medeiros might have changed my mind. Just a tiny bit. I loved her Charming the Prince, a medieval romance take on Cinderella, and I’m glad I was willing to give this story the benefit of the doubt based on past experience. Arian Whitewood is the daughter of a French courtesan, plagued by rumours of witchcraft and devil-worship in the small Massachusetts town where she and her Puritan step-father live. Though the details are exaggerated, the townspeople’s fears are true – Arian can work magic, with the help of a magical amulet than once belonged to her mother. The amulet saves Arian’s life when she is tried for witchcraft and ‘ducked’ into the pond to drown, and instead of breathing water, she finds herself flying through the air in New York City, three hundred years into the future. After her broomstick has an unfortunate run-in with a chimney and catches fire, Arian finds herself crash-landing into the arms of billionaire bad-boy Tristan Lennox. There’s no complicated plot or arching character development, but that only meant the story was straightforward. The characters and plot weren’t particularly believable – this is a time-travel romance, after all, and suspension of disbelief is de rigueur. Tristan started off the story gruff and quite unpleasant. It was nice to see his cold shell slowly thawing as Arian wormed her way inside his defences, and the struggle to align what his heart feels with what his head thinks. IT was interesting, if sometimes cringe-inducing, to follow Arian’s attempts to adapt to the twentieth century and all the ways society and technology has changed since her time in Puritan Massachusetts. While not a stunning literary masterpiece, this story is a light and enjoyable piece of fluff that was perfect for lightening the dreary chill of a late autumn afternoon. Recommended. 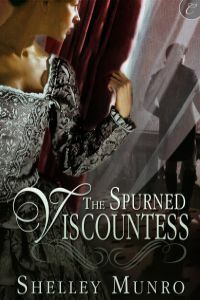 The Spurned Viscountess, by Shelley Munro, is a gothic romance novel at its finest. Smugglers, murder attempts and secrets abound in this charming tale set in eighteenth century Sussex. Having lost his memory three years ago, Lucien is not at all sure that he’s the missing George St. Clare, Viscount Hastings, despite the old Earl of St. Clare’s insistence. He’s willing to play along in order to seek out the mysterious Hawk, a smuggler who murdered his wife and unborn child, but an arranged match and a second bride were not part of the plan. Rosalind Chandler has a gift; she can read the minds of others when she touches them. Rosalind desperately wants a husband and children, but due to her power, and the rumours that she is a witch, her only hope of marriage lies in the betrothal contract arranged by St. Clare and her uncle when she was a child. Regardless of the fact that her prospective bridegroom has no interest in marrying her, and demands that she cry off. Even after the wedding Lucien shuns her company, far more interested in tracking down the local smuggling ring than in bedding his new bride. Which Rosalind would very much object to, if she weren’t busy trying to survive conveniently-arranged accidents and find out more about the notorious smuggler known as Hawk, who terrorizes the village and seems to wish to harm her husband. Lucien has no desire to work with an interfering young miss who gets into scrapes every which way she turns, but he soon finds his heart softening towards her, much to his dismay. After urban fantasy and the hordes of Regency romances I’ve been reading lately, this step back into the early eighteenth century – 1720, to be precise – was both welcome and refreshing. Unlike many romance novels where the dramatic plot is mainly outside impetus to throw the characters together, this almost felt like a gothic mystery novel that just happened to have a romance included. Whilst the main characters do bond over the story’s dramatic events, an equal amount of conflict came from the relationship between them, from mis-reading each other’s emotions and responses, and from Lucien’s reluctance to become involved with Rosalind while he still mourns his late wife. Rosalind herself began the story timid and afraid of her eccentric new family and their gloomy castle, but quickly seemed to find her backbone and take what actions she felt were necessary to secure her future, and to provide Lucien with his help whether he wants it or not. In a lovely twist on the stereotypical hero-rescues-heroine trope that has frustrated me before, this time it’s Rosalind who puts the plot together and does the rescuing whilst Lucien stumbles blindly into danger. I enjoyed the development of the relationship between Rosalind and Lucien, and the slow building of affection and trust between them. The secondary characters were interesting, though some of them lacked some development, and parts of the Dramatic Plot were a little odd. Overall I liked this book and would recommend it. I am tired. I’m working on (but have not quite finished) two new book reviews, and I have a chiropractor appointment and my math final in a few hours. Also, it is snowing again. But after that, I’m free for a while.